Did you know 50% of people who use their phone to do a search for a business will end up visiting it the same day? It’s time to make sure your financial institution stands out independently from the rest online. 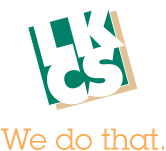 LKCS is proud to offer comprehensive digital marketing solutions as part of our suite of award winning services. Our experienced team can develop and manage strategies designed specifically to help grow traffic to your website and build your customer base. SEO is the art of getting your website naturally found on search engines like Google. Build up your listings and traffic by optimizing your website with specific keywords, original content, localized data, and SEO-friendly programming. Ready to get traffic to your website quick? Well managed PPC advertising via Google AdWords or Bing Ads by LKCS will do that. Use your ad listings to promote general services or promotions. Bid on the right keywords to drive up qualified leads. Build up your brand loyalty and stay connected with your account holders while also finding new ones with creative posts and ads targeting key demographics. This fast and easy marketing tool has the highest conversion rates among the four core digital marketing strategies. Use it to send specific promotions, announcements, and newsletters to your account holders on a regular basis. This is just the tip of the iceberg. For more information on how these strategies work, sign up for our upcoming webinar on Digital Marketing. Feel free to call a sales representative today for more information at 866-552-7866.